Traditional strategic planning processes work best in manufacturing, construction, and other industries where repetitive, long-term, stable operations are required. Today, however, most organizations are confronted with constant change. Traditional strategic planning approaches and processes are no longer adequate. Agile strategic management can significantly increase the probability that your organization achieves its goals. It requires genuine leadership. It leverages the power multi-disciplinary teamwork, iterative design and improvements, and a continuous focus on top priorities. What is Agile Strategic Management and Can It Help? Where Does Agile Work in Organizations? Where can strategic management be applied? It can be applied throughout the organization. It is used in goal setting, strategy development, product and service design, and process improvement. Goals can provide clarity regarding what is most important to the organization and how those will be measured. Establishing goals centered on the customers, employees, processes and financial results are all important in creating a successful organization. Strategies define how you plan to achieve the goals. 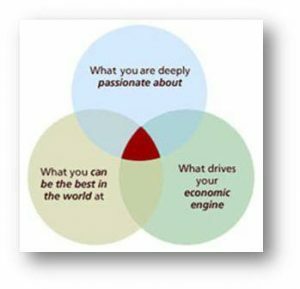 Strategies should be developed based on your sweet spot, rich customer insights, deep competitive analysis, market research, and critical research in other areas. A key to competitive advantage is having a workforce that is passionate about the strategic direction of the organization. When people are genuinely able to contribute their best insights to a noble cause, they are significantly more likely to be emotionally dedicated to working together, and helping the organization succeed. Agile strategic management recognizes that you need to build learning and a degree of flexibility into the decision making process. Products and/or services are what your firm offers to your customers. When a new product or services is developed or significantly improved, then generally project teams are chartered. Significant investments are made to develop, test, launch, support, and so on. Then, there is lost opportunity costs if the projects are not successful. 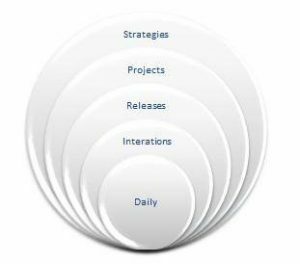 Strategies may need to change as agile project teams collect deep insights as they partner closely with customers as they produce key features and they publish product releases. Consequently, there needs to be a tight working relationship between project teams and executive stakeholders. To maximize your investments, having your strategist partner with these teams is also vital. Executives and your strategist need to be trained in how to best engage with teams and effectively remove barriers. An authoritative voice if misguided can easily sway and misguide a team. Processes are where the day to day work is performed to produce, sell and service the products and/or services. Processes should be continually improved. Sometimes it is important to design new processes or re-engineer existing processes. Training in process analysis, best practices and automation is helpful. Agile principles can be applied to process improvement efforts. Teams are put together, to identify, group and prioritize problems. The top problem is focused on first. The team uncovers and prioritizes root causes, identifies ideal solutions, and designs, develops, tests and deploys the solution. Partnering with and meeting frequently with customers (sometimes internal customers) and stakeholders is important.